John Kenneth Muir's Reflections on Cult Movies and Classic TV: Ask JKM a Question #10: Do I write about women directors? Ask JKM a Question #10: Do I write about women directors? That’s a great question, Mary. One of my favorite filmmakers working in the industry today is Mira Nair. In 2006, Applause Theatre and Cinema Books published my director’s study of Nair called Mercy in Her Eyes. 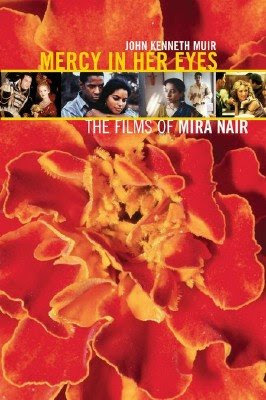 It tracks Nair’s output and artistic development from 1988’s Salaam Bombay to Vanity Fair (2004), with a short chapter on the making of The Namesake (2007). Nair is a great and dynamic auteur, a director capable of composing ravishing visuals, as we have seen in Kama Sutra (1997) and Monsoon Wedding (2001) among others. I particular enjoy her continuing ability to find – and extend – highly dramatic moments that capture the nature of her characters and their lives. She fashions a kind of visual sensuality through slow-motion photography and other techniques, so that audiences can detect the beautiful but ephemeral nature of human existence. In terms of the horror genre, my book Horror Films of the 1980s includes reviews of Mary Lambert’s Pet Sematary (1989) and Kathryn Bigelow’s Near Dark (1987)…both of which I assign “four stars,” or my top rating. Horror Films of the 1990s features a review of Bigelow’s Blue Steel (1990), which was interesting, but perhaps not as strong. To be candid about this matter, the movie business is still very much male-dominated, as I’m sure you realize. That fact established, I really ought to review some of Bigelow’s cinematic work here on the blog, including the action film Point Break (1991), or the sci-fi epic, Strange Days (1995)…two films I really love and admire. Yeah, I'd love to read your thoughts on both POINT BREAK and STRANGE DAYS. They are two of my faves as well. Did you ever review JENNIFER'S BODY? That was directed by Karyn Kusama and was pretty good, I thought. You tend to see more female filmmakers in the indie scene with notable auteurs like Nancy Savoca (DOGFIGHT) or Allison Anders (GAS FOOD LODGING), both of whom are excellent but they tend to get marginalized unfortunately. I did review Jennifer's Body here on the blog, way back in 2009. I thought it was good as comedy, not so great as horror, as I recall. I really should review Point Break and Strange Days. I remember Dogfight well, and really enjoyed that film. I don't have strong memories, however of Gas Food Lodging. I will have to check that one out again. Thanks for the excellent comment, J.D.! More notable female directors are Penny Marshall (Big) and Amy Heckerling (Fast Times at Ridgemont High, Clueless and Loser). But they haven't really done much lately, at least not something notable.